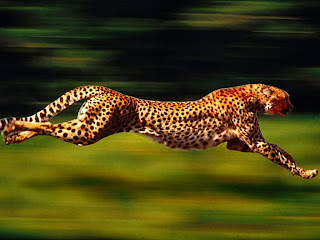 The cheetah can run faster than any other land animal— as fast as 112 to 120 km/h (70 to 75 mph) in short bursts covering distances up to 500 m (1,600 ft), and has the ability to accelerate from 0 to 100 km/h (62 mph) in three seconds. Cheetah lived in most of Africa and parts of the Middle East. It is the only extant member of the genus Acinonyx. The cheetah's chest is deep and its waist is narrow. The coarse, short fur of the cheetah is tan with round black spots measuring from 2 to 3 cm (0.79 to 1.2 in) across. The tail usually ends in a bushy white tuft. 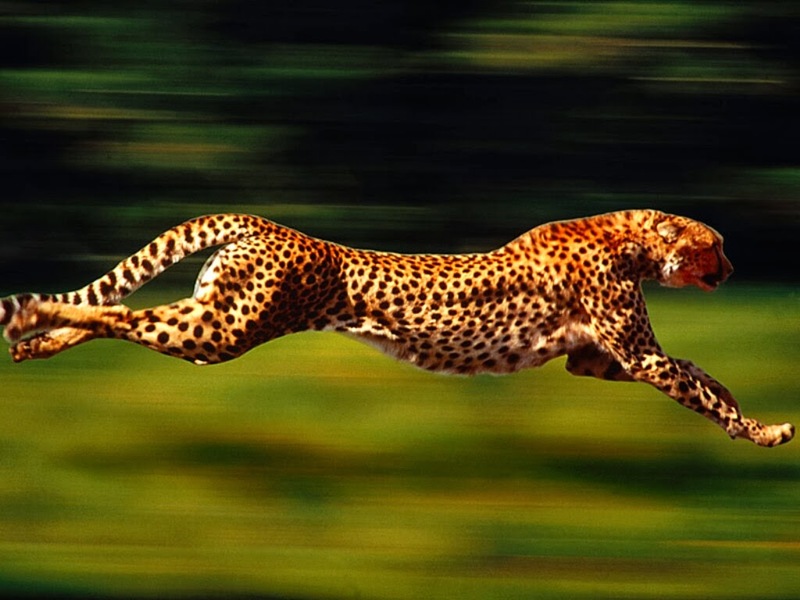 The cheetah has a small head with high-set eyes.Its thin and fragile body make it well-suited to short bursts of high speed, but not to long-distance running. The adult cheetah weighs from 21 to 72 kg. Its total head-and-body length is from 110 to 150 cm, while the tail can measure 60 to 84 cm in length. Males tend to be slightly larger than females and have slightly bigger heads, but there is not a great variation in cheetah sizes and it is difficult to tell males and females apart by appearance alone. 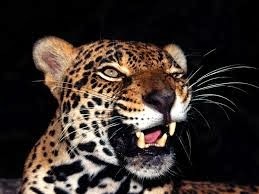 Compared to a similarly sized leopard, the cheetah is generally shorter-bodied, but is longer tailed and taller.